SAMARKAND -- A new electronic system for issuing tourist visas is making it easier -- and cheaper -- for travellers from around the world to visit Uzbekistan. The online system was activated on July 15. Potential tourists may apply for and receive visas online with a fee of $20 (156,000 UZS) and a two-day wait, without having to visit an embassy as required in the past. The new system so far may be used only for tourist visas. The new e-visas allow for a single stay of up to 30 days and are valid for 90 days from date of issue. There is no need to attach the visas to passports -- a traveller may show one to border officials on his or her cellphone or give them a printout. The new visa system has attracted significant interest among US citizens, who submitted more online applications than any other nationality in the first two days after the system became available. "Citizens from 37 countries, mainly from [European Union] countries, benefited from the system," a source at the State Committee for Tourism Development (GKRT) told Caravanserai. "As of July 23, [Uzbekistan] had not rejected a single application." By the same date, Americans had received 88 visas, second only to Chinese citizens, who received 102, the source said. Last year, about 200,000 tourists visited Uzbekistan, GKRT Chairman Aziz Abdukhakimov said, according to a May 1 report by Spot.uz. That modest figure comes after years of Uzbekistan routinely putting the annual number of tourists at about 2.5 million -- a statistic Abdukhakimov debunked by saying it mostly comprised day-trippers from neighbouring countries. 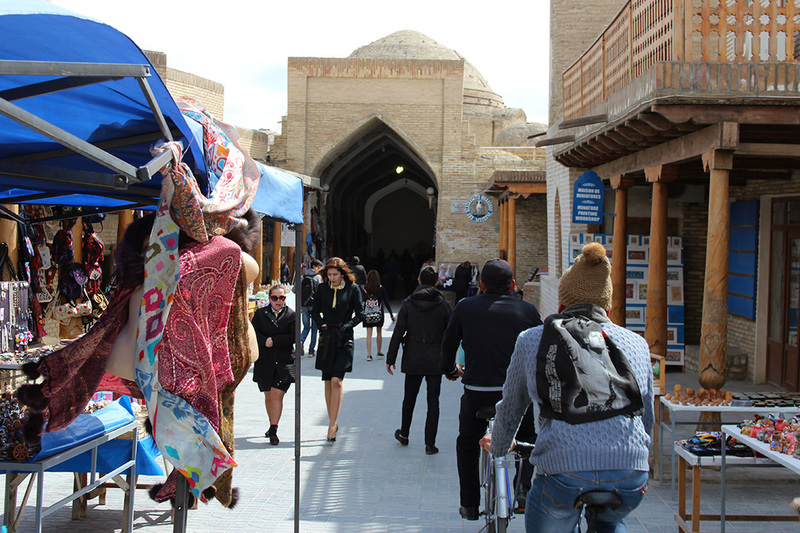 "The bureaucratic process of obtaining a visa to Uzbekistan was considered one of the main obstacles to developing tourism," Kamilla Abdullayeva, the operator of a travel agency in Tashkent, told Caravanserai. "For example, previously US citizens had to pay $120 [936,000 UZS] and wait for about 10-15 days," she said. "But the main issue was that you had to go to the consulate or the embassy in person. They exist only in New York City and Washington, DC. This barrier was virtually insurmountable for someone living on the West Coast," Abdullayeva said. Uzbekistan has also repealed a law requiring requiring all foreign visitors to stay in hotels. That law mandated that the hotels register the visitors with local police. "This holdover [hotel registration requirement] shackled the entire industry," said Abdullayeva. "Now tourists may stay wherever they want -- in hotels or with friends and other acquaintances, [as well as use] services like Airbnb and CouchSurfing." New rules enable either the visitor or the host to input the visitor's information and to pay a daily tourist tax of $0.50 (3,900 UZS) by visiting the Emehmon website or smartphone app. 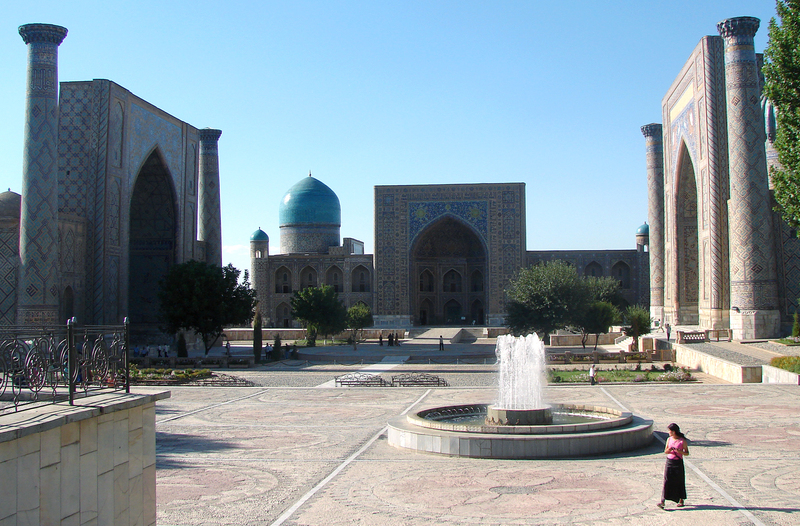 Uzbekistan is also simplifying rules for travellers who are simply passing through the country. Those with a stopover in Uzbekistan may stay for up to five days without a visa, effective July 15. Citizens of 101 countries, including the United States, can simply show their airline tickets with the stopover. Visa difficulties in the past not only deterred tourists but also natives of Uzbekistan who became naturalised US citizens. More than 50,000 natives of Uzbekistan live in the United States, according to Tashkent-based author Mavlon Shukurzoda, who researched that diaspora for his 2010 Uzbek-language book, "American Uzbeks." Uzbek-Americans seeking to visit their native land previously had to obtain tourist visas and stay in hotels like all other visitors. Starting in October, however, the Uzbek government plans to introduce a special "Vatandosh" (Compatriot) visa for Uzbek natives and their families. Such visas will be valid for five years. "Earlier, when we got tourist visas, we had to stay in a hotel," New York City resident and Uber driver Bobur Muhammad told Caravanserai by phone, referring to the hotel registration requirement. "Only hotels were authorised to register visitors [with local police]," he said. Now that visitors may stay with relatives, diaspora members are filled "with enthusiasm", he said. "We will travel back to our historical homeland more often." Officials want to double the number of tourists in Samarkand by 2021. Officials are considering ideas such as establishing a duty-free zone and a tourism police force.